Nearly seven years ago, I asked Bandon Dunes developer Mike Keiser how many projects were in his future. "I'm going to keep building courses until I run out of money," he said. 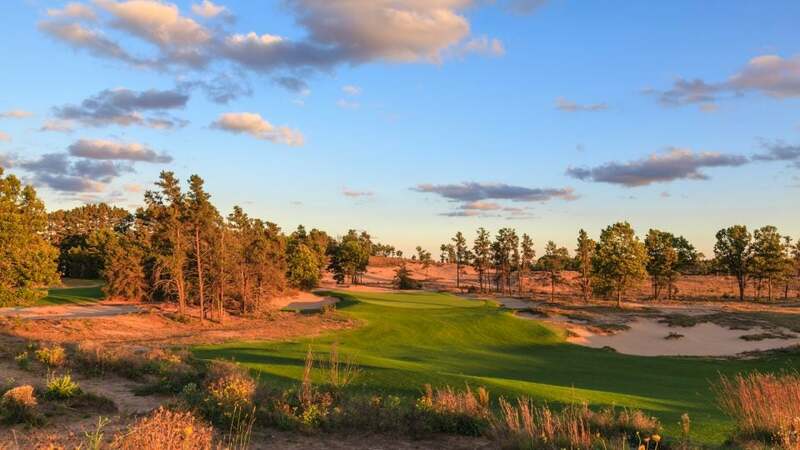 The latest check to clear is for Wisconsin's new Sand Valley Golf Resort. Judging from the early returns, it was money well spent. Located on a gigantic natural sand deposit near the central Wisconsin town of Rome, 170 miles northwest of Milwaukee and 55 miles north of the Wisconsin Dells, Sand Valley has dunes and ridges reaching six stories in height and spreading out in every direction. Architects Bill Coore and Ben Crenshaw performed their usual course-design magic in coaxing maximum variety and risk/reward options from the site. This led to a hilly, 3,186-yard, par-35 front nine and a stern, 3,723-yard, par-37 back nine, the latter unfolding mostly along valley floors. Your first and best glimpse of how the holes are embedded into the property comes via "the Volcano," a hill near the entrance. From that modest peak, the first and 10th tees and the ninth and 18th greens appear in all their sand-bracketed, cunningly contoured glory. If the heathland-style, sand-scrub-and-trees palette at times resembles a scruffier Pine Valley, the challenge is nowhere near as demanding. The course nets a low-wattage rating of 72.6 and a 128 slope from the tips, due to wide, fast, rumpled fairways, few forced carries and no water hazards. The emphasis here is fun. 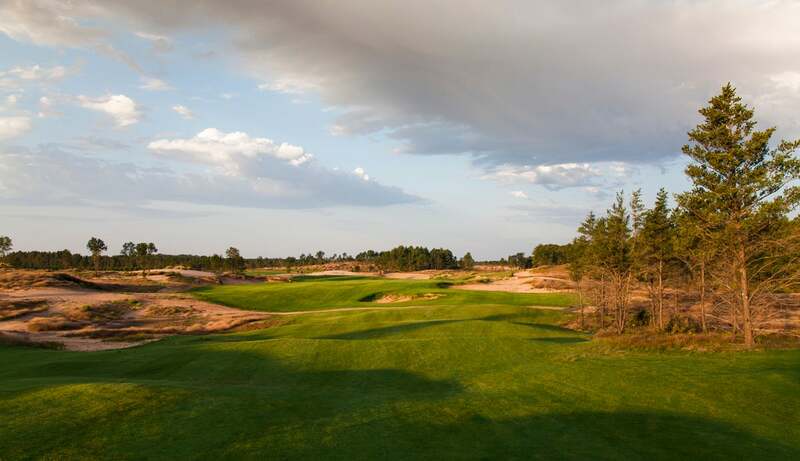 Consider the way Sand Valley's many virtues converge at the 550-yard, par-5 18th. It twists uphill, skirting a massive dune ridge on the left and an intimidating sand valley on the right. Heed your caddie's counsel (walking is required) to card a well-deserved par. Will Sand Valley evolve into the Bandon of the Badger State? Stay tuned. A second course, from David McLay Kidd, comes next year.